This category is to discuss everything related to heat transfer vinyl. We will talk about things like flock, specialty vinyls, print and cut solvent vinyl and many more topics. We will discuss brands like Siser and Digi-Cut. Summer is almost over and the back to school frenzy is in full blast. Stock up on these great products – they are a must for the new school year! From backpacks to socks, we have you covered. These hot items can be personalized for any age and fashion sense and are highly functional during the school year. 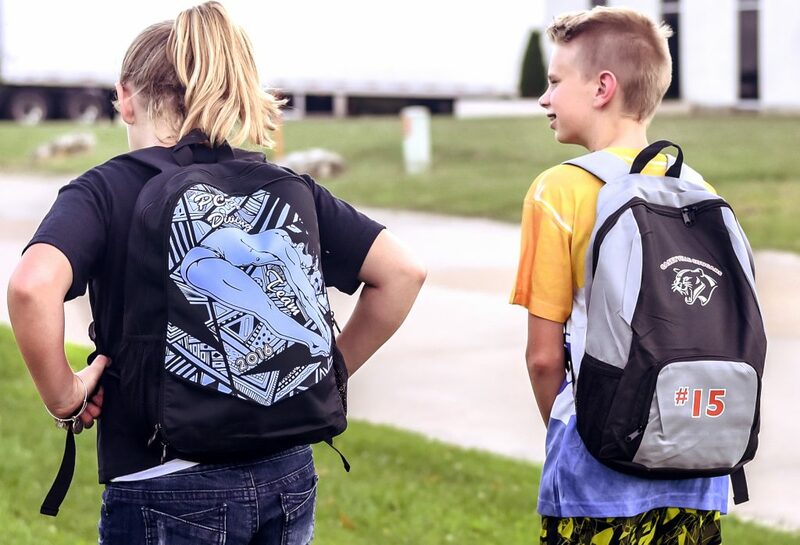 Our unisex sublimation backpacks (pictured on left below) come with a full white flap cover for either partial or full sublimation. Already have a backpack that you bought from a store but can’t sublimate on? Heat Transfer Vinyl may be what you are looking for, which is perfect for lettering, logos and school mascots (pictured on right below). 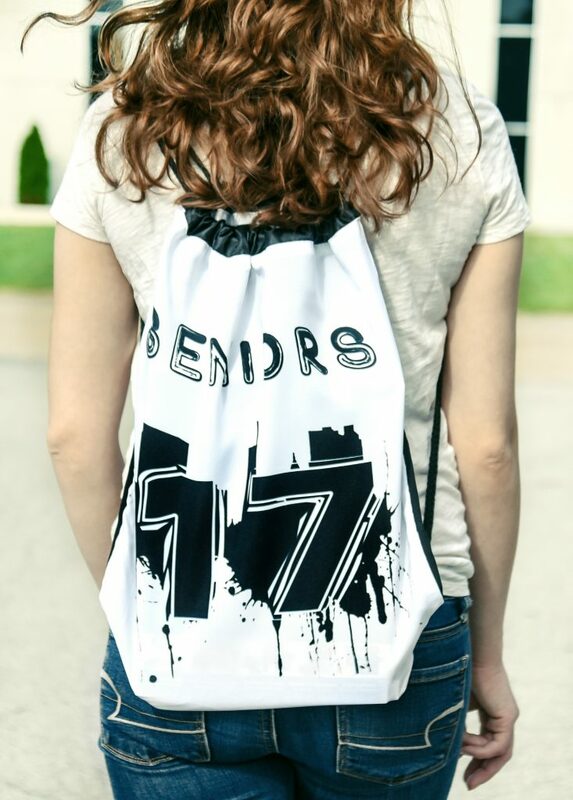 Our drawstring bags provide a different option besides a backpack and are fully dye-sublimation friendly made from 100% white polyester (both one sided and two sided bags are available). These would be a cool accessory for sports teams and after school activities, but can be used to make a fashion statement too! They are ideal for middle school students and older as they are somewhat large for a small child. We can’t forget our vinyl which can be applied to cotton, polyester and blends along with other fabrics that can withstand heat of up to 320F. 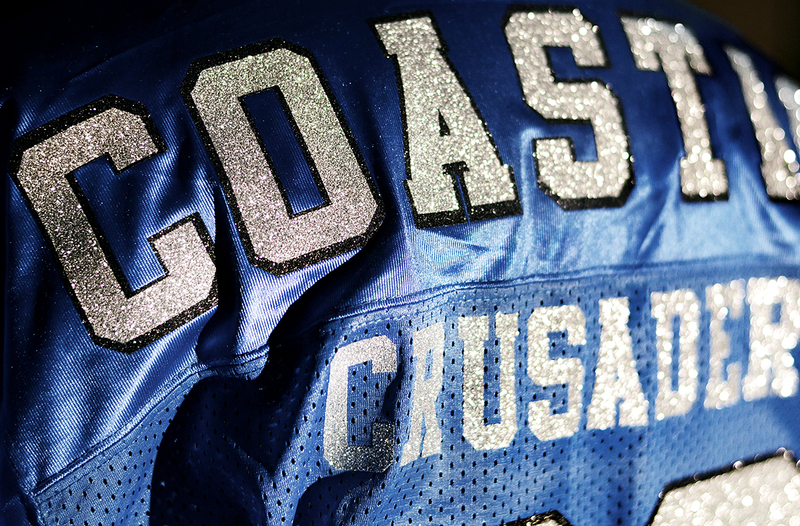 Our vinyl comes in many colors and textures, from standard matte to specialized glitter and flock materials. 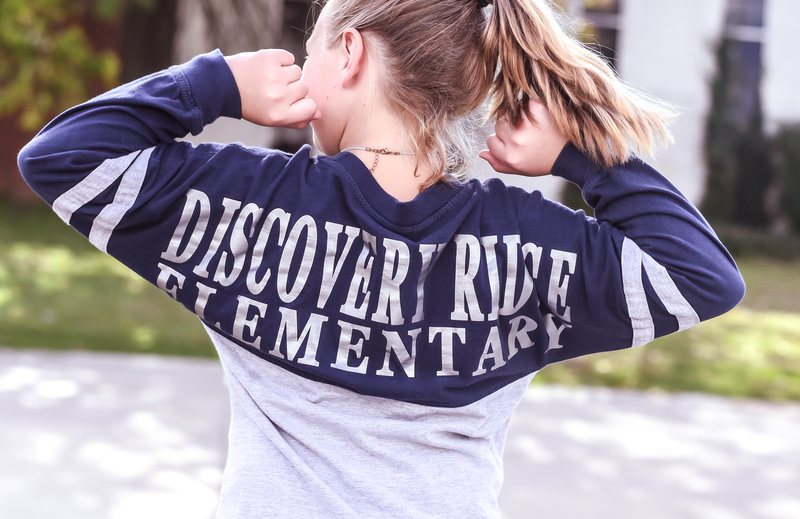 Add letters, school mascots, quotes and logos to any shirt that can match and even outshine the school spirit clothes offered at the school bookstore. Go a step further and create designs inspired by current trends: animals, motivational quotes, and personal hobbies! 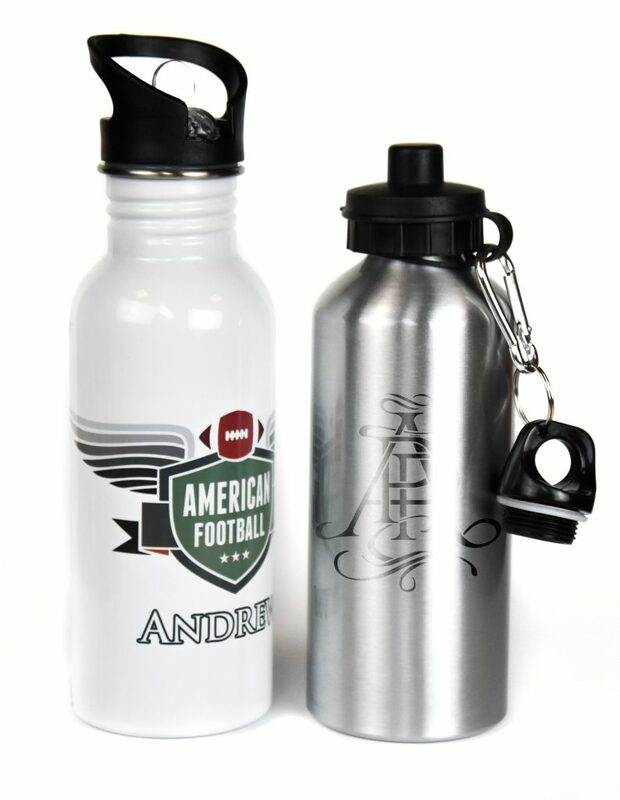 Pick from two styles of waterbottles: stainless steel straw-top and regular removable cap, available in a natural silver/steel finish and glossy white to achieve your desired look. 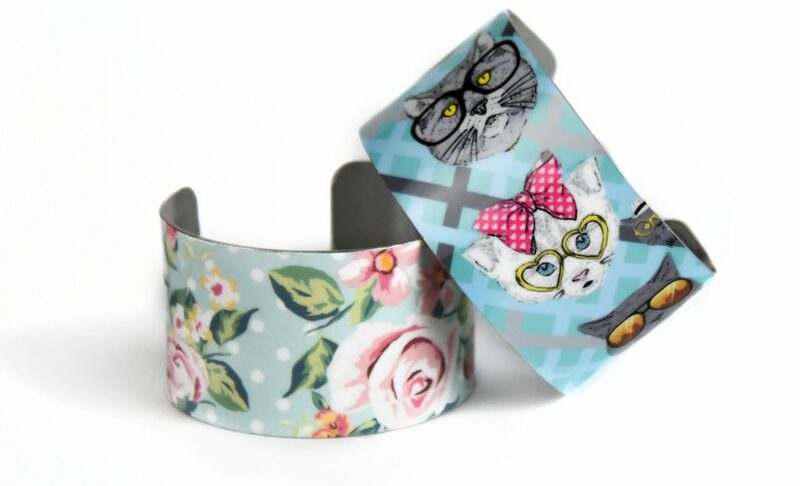 These are ideal for sublimation in a mug press or an oven with a silicone wrap. They are easy to carry from one classroom to another or to any after school program. 100% white polyester socks for front and back sublimation are perfect for youth and adults alike. These come in different sizes as well as lengths. Crew socks, tube socks, knee high socks: we got all the socks for you! For better results, we recommend using a straight jig or a hockey jig, which stretches the sock and allows for sublimation ink to dye maximum surface area, however that is not necessary with the black interior socks (pictured below). 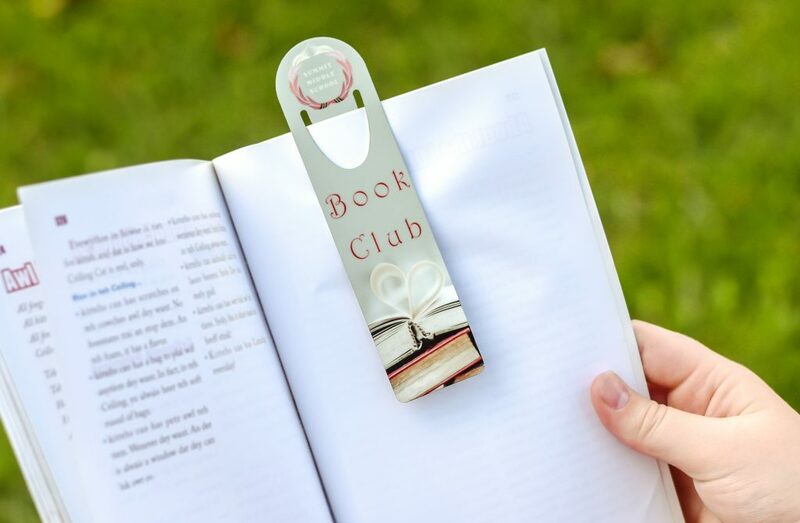 Never lose another page with our custom bookmarks! These are a must, and they are made from durable aluminum and come in a longer 1.5 x 5 in. size (pictured below) as well as 2×3 in. size. 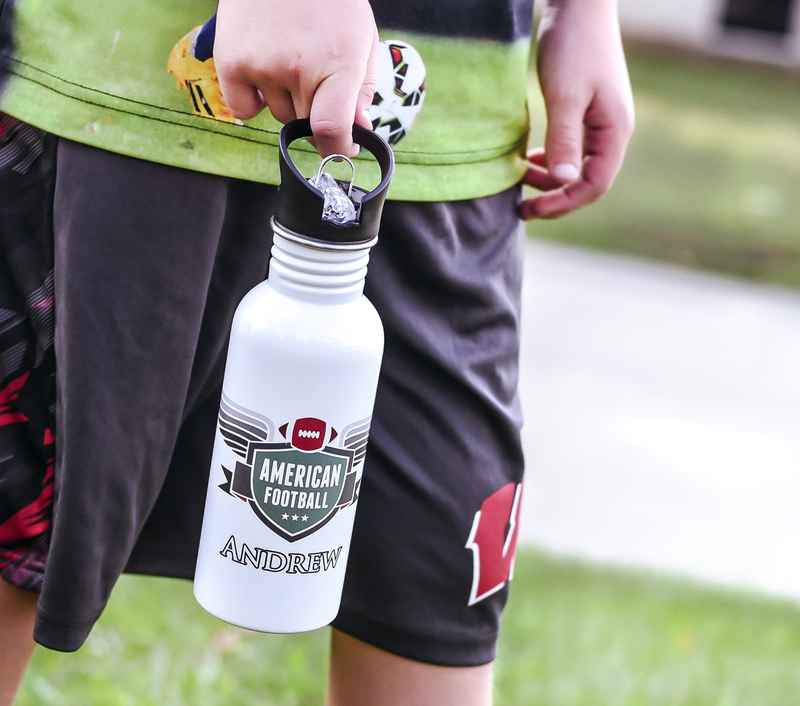 The ultra white glossy side is made for quality sublimation results. The days of dog-eared book corners are over! 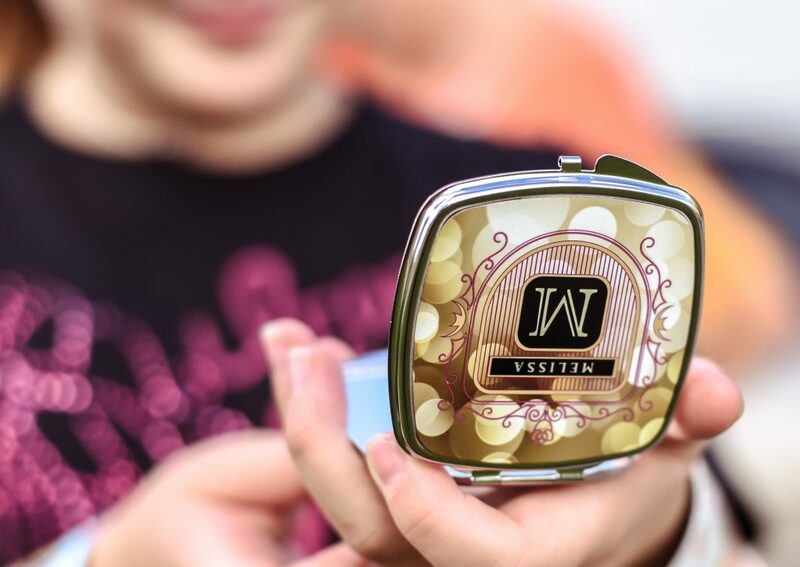 Pretty AND useful: our beautiful mirrors are truly compact at only 2.25 inches and can fit in purses and even smaller pockets. There is a regular mirror on one side and a magnifying mirror on the other and the top cover comes with a separate glossy white sublimation insert that is easy to attach. Square and round shapes are available. Middle school to high school girls would love this great addition to their makeup kit for a midday touch-up or getting ready for a school event. Headbands have become a must-have accessory for everyday use to keep those stray hairs away. Our headbands have a satin white finish and a black velvet interior for comfort and slip resistance.The satin finish results in excellent image clarity and vibrancy. The adjustable elastic back allows them to fit most ages from elementary all the way to college. To sublimate, simply unclip the back and lay them flat on the press. Easy and beautiful! 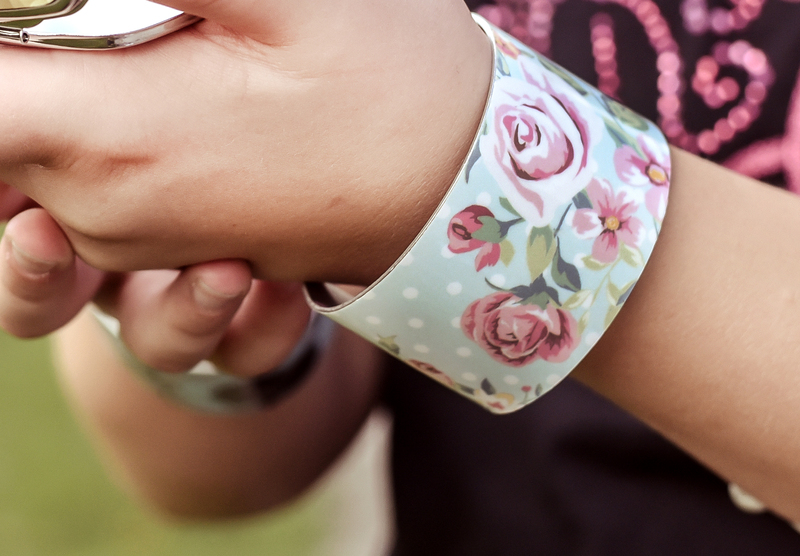 Add the finishing touches to any outfit with custom bracelet cuffs! These Chromaluxe bracelets promise a vibrancy that is equivalent to the gallery worthy photo aluminum panels made by the same company. This year, we have added many more styles and finishes to the list. Now there is a choice between white, gold and silver finishes and multiple shapes and thicknesses. The bracelet cuffs arrive flat for perfect sublimation and then are curved using our form tool. 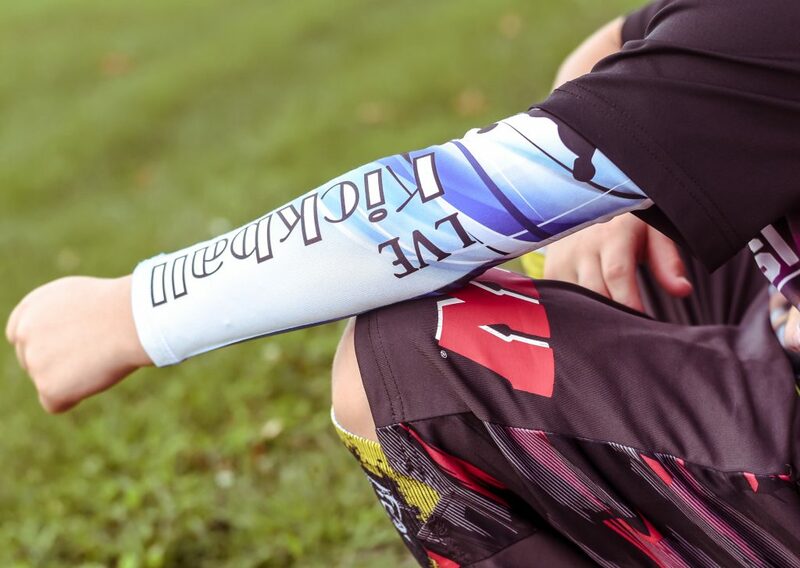 Vapor’s arm sleeves are still fairly popular, especially among students who play sports but with the right design, these can be worn by just about anybody, regardless of age. They are available in a range of youth and adult sizes for the perfect fit. Their dual function of protection and fashion placed this item on our top 10 list. There is a huge range of different decoration methods available to the average user to create their own custom printed and designed apparel. What decoration method is best for you and your print shop? See some creative examples below with an explanation of the production process behind each to get some new ideas and inspiration! 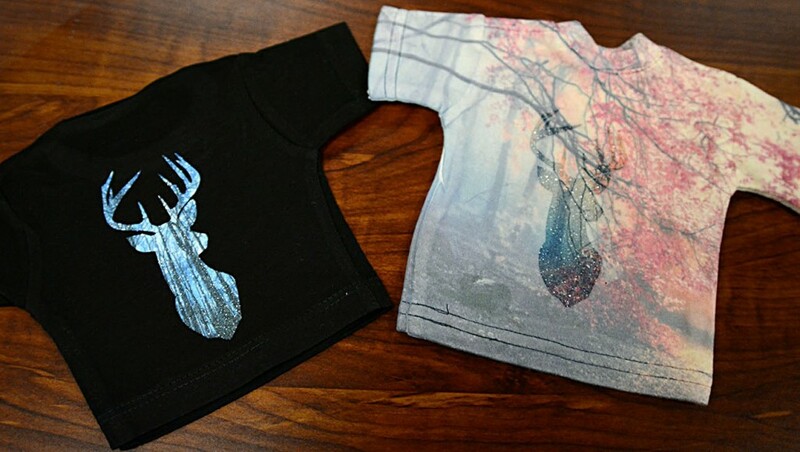 Sublimation– A digital printing process that transfers special sublimation dye-based ink printed designs onto garments using high heat and a commercial press. This process works only on white/light polyester garments or polyester coated items and is the most permanent transfer since the dye ink becomes part of the garment. It literally dyes the fabric, therefore there is no weight or texture to the transfer. 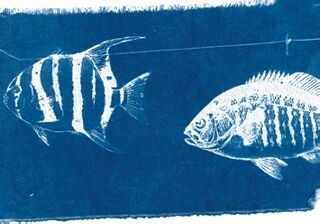 No limitation on design: transfer photographs, full color designs, bright or light colors and gradients. Heat transfer paper– Process in which the design is printed on a transfer paper through inkjet or laser printer and then pressed onto a shirt. Designs are easy as print and press for transfers onto white/very light colored garments, and with the addition of a vinyl cutter, transfers for dark or color fabrics can also be done with a very professional quality after contour-cutting and weeding the excess white background! Plus, with new technology, laser printers now allow for self-weeding transfer papers which only transfer the design on the shirt with no need to cut it out! FOREVER Laser Dark No-cut printed with White toner OKI printer and transferred on black shirt. Heat transfer vinyl– This is a simple process of cutting designs out of heat transfer vinyl, a one-color/one-material on a roll and liner, weeding away the material that you do not want in your transfer design, and simply pressing them onto a shirt! There is a huge variety of vinyl, far beyond just standard colors: sparkly glitter, soft flock, shimmery metallic, and more! Vinyl transfers are great for lettering jobs and simple clipart/graphic designs, as there is no printing involved and the only machine needed is a vinyl cutter and computer software. 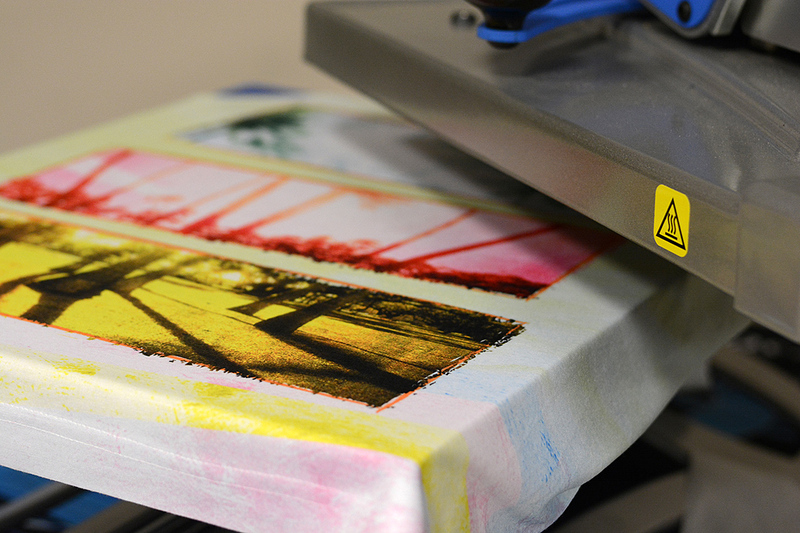 Solvent printing– Digital printing process that requires a special solvent printer (generally wide format) which then prints on specialty solvent-design paper or vinyl. This is often the process used for water proof or weather resistant signage, car decals, stickers, wallpapers, window decals, but is also used for t-shirt transfers. It is highly durable and very rarely results in fading or cracking. 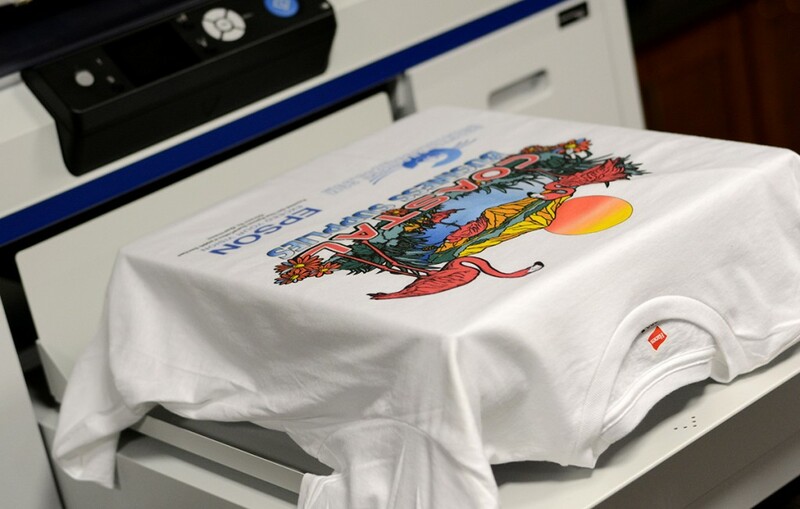 Direct to garment– This is the only process that involves a printer directly printing on the shirt. 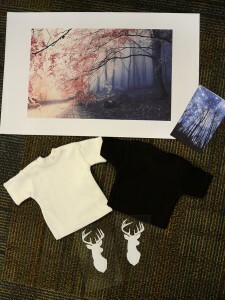 The printer has a flatbed on which the shirt is placed and using a computer software, the design is printed directly on top of the flat fabric surface. Dark color t-shirts are coated with a special pretreatment coating that allows for bright vibrant prints onto dark colors. Silk Screen printing– The old school and proven stencil method that uses a mesh screen which is coated with a light sensitive solution and exposed to light with a stencil that results in open areas of the screen through which the ink is pressed onto the garment with a squeegee. Each color is run through its own screen which can be a lengthier process however this works great on any color or material shirt since the ink is opaque and sits on top of the fabric. Since multiple screens must be set up for each color, the limitation of this tried and true printing method is that it’s not best for true photographic or full-color output, and smaller orders are nearly impossible to make profit on after set-up time is considered. Rhinestones– Add sparkle and shine to your designs by using rhinestones that look like small diamonds. 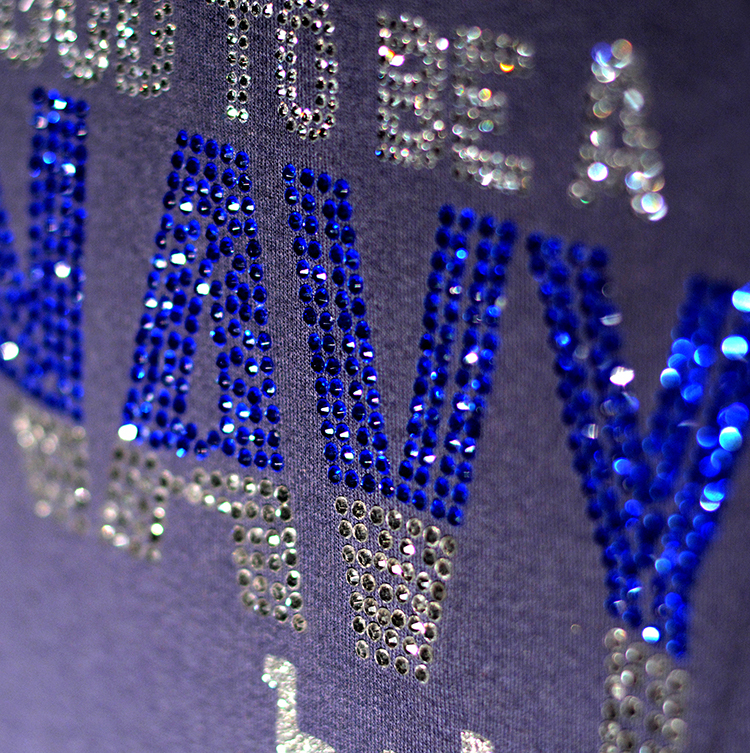 A cutter with a vinyl software equipped with rhinestone tools and design cutting capabilities is required. Sizes and colors of rhinestones vary giving you freedom to create, mix and match, and with custom bling designs, a huge profit potential is possible with your ability to deliver a truly one-of-a-kind product! 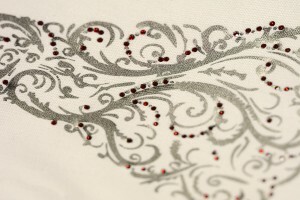 Embroidery– Using a needle and thread/yarn on an automated machine to decorate garments. Other materials could be incorporated into the design such as beads, but the process in general involves stitching the design. While embroidery can be done on nearly any and all apparel products and fabric types or colors, investment and learning curve in this process can be huge! Cyanotype– a photographic process that uses a light sensitive solution that can be coated on most porous materials and results in a cyan/blue print. For photographs, s greyscale image is printed on a transparency and then is laid on top of the coated garment and pressed with a glass to flatten it, then left out in the sun (bright, mid- day is best) for roughly 10 minutes or until blue coating becomes very light and faded. Then the garment is soaked in water so the non-exposed areas wash out. Other techniques include laying out leaves or other shapes to block out the sun from areas of the garment. 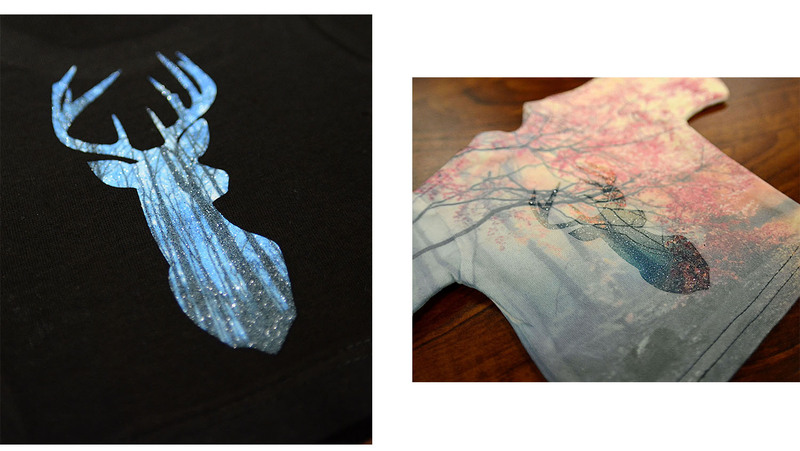 Different colors can be achieved by using different additives or chemicals in the cyanotype coating. 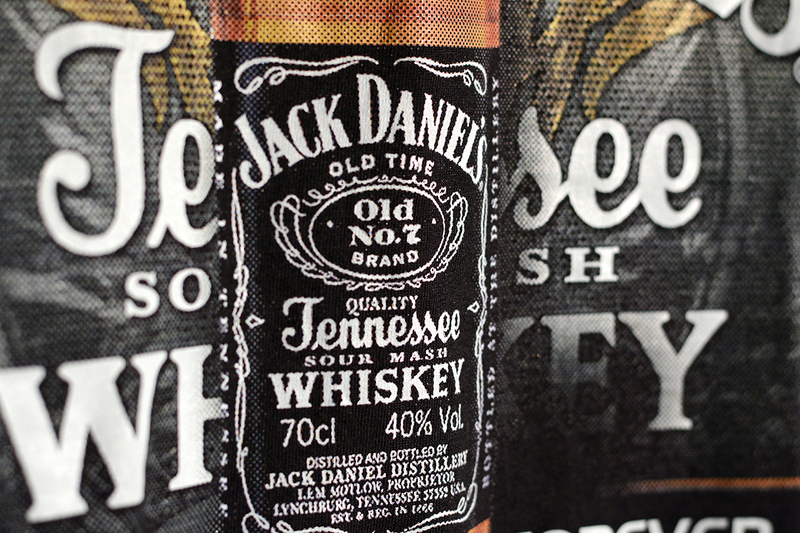 Print fades over time. Stamping– a method that uses a hand-made stamp to transfer an image/design. Stamps can be carved out of wood or rubber or objects can be used as stamps such as one’s own hands or just everyday objects. 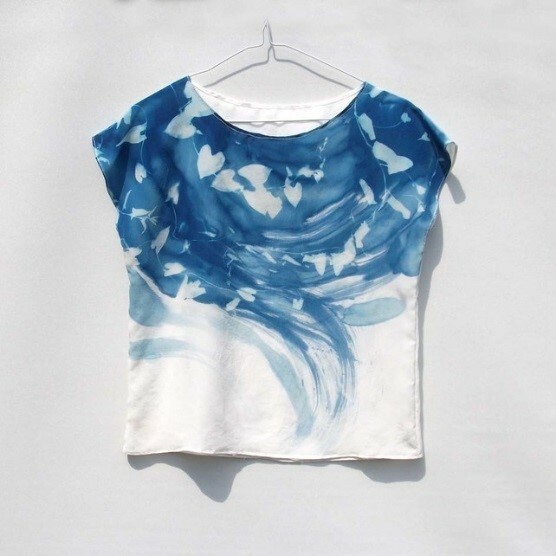 There are variety of inks or paints out there to experiment with and create textures or images on garments. Fabric markers– for those who love to draw, there are markers and pens with inks designed for garments! This creates unique, 100% hand drawn apparel. Here at Coastal we like to experiment from time to time with our products. 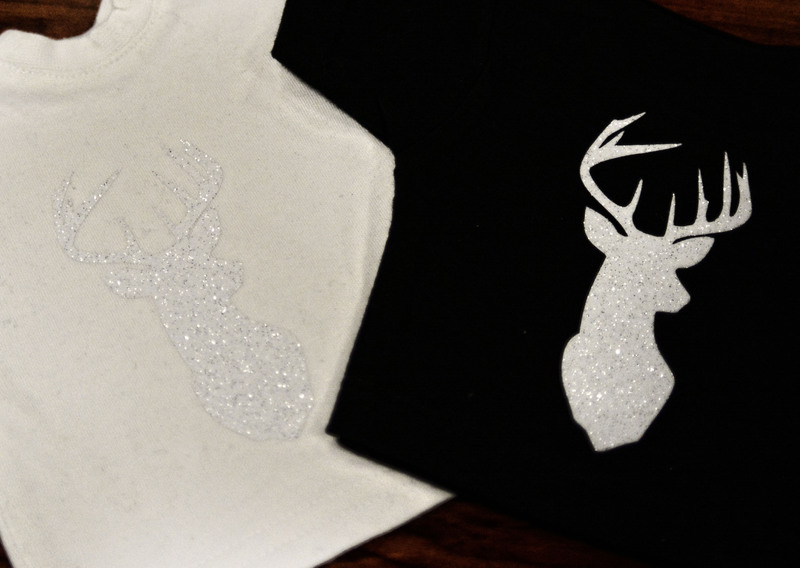 This is how we found out that we can actually use the sublimation process on white glitter flake vinyl and end up with a pretty cool effect. For my demo, I wanted to test the process on black and white 100% cotton fabric. The white fabric was more of a fun test, knowing that the fabric will be dyed a little bit temporarily (we have heard that it does wash out with time unlike polyester which is permanent). I knew the black would work much better because black can’t be dyed and the bleed area won’t show up at all (and that’s my goal). Cut and weed out your design out of the white glitter flake vinyl. Press the vinyl onto your material. I used 320 F for 5 seconds. Since I will be transferring an image for additional 30 seconds later on, the initial press should be just a few seconds enough for the vinyl to adhere. Cut out your images to fit the design. For a black garment, all you need is the size of the vinyl design with some bleed area (extra printed area around the image to make alignment much easier and error-free). For the white garment, the fabric will be dyed as well, so size the image to be slightly bigger than the whole garment. I pressed the images for 45 seconds at 380 F. That seemed to produce the most vibrant transfer from various times tested at that temperature. Note: The white fabric will fade and wash off little by little but the vinyl design will remain bright longer. This method is experimental only and the vinyl in itself was not designed for sublimation, it just happens to work with it. Not recommended for every day garment wear since due to the total pressing time of the vinyl, cracking and wear and tear may occur earlier. We have not tested the durability of it on T-shirts over time. Best used for décor.